If you are like me, you tend to think that fashion trends date to the time you first noticed them. In my case, I thought platform shoes were introduced in my lifetime. The joke’s on me, though. Platforms are old, old news. 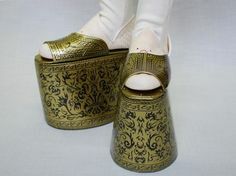 European women were wearing such shoes during the Renaissance. They were called chopines. Here you see a pair of chopines, a shoe style popular between the 15th and 17th centuries. This particular pair is new, of course, and built based on observations of shoe remnants and old documents. 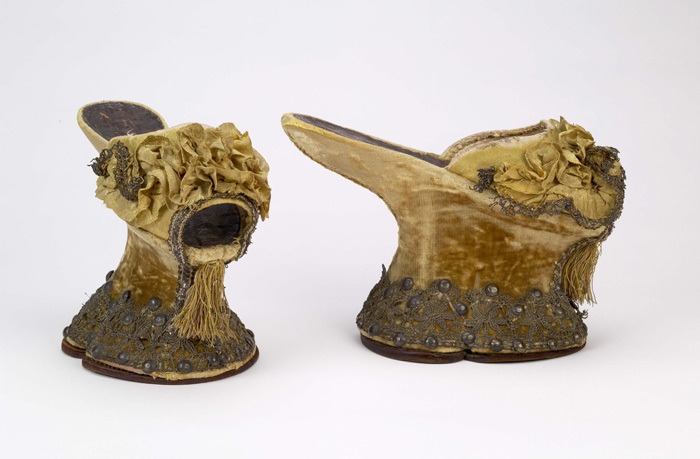 These chopines can be seen at the big Kunsthistorishes Museum in Vienna. 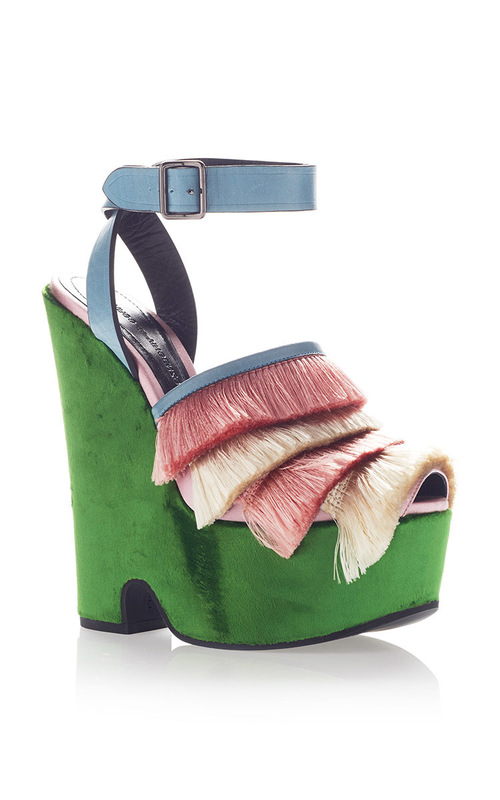 That green pair makes me think of fashion designer Marc Jacobs and his recent penchant for exaggerated platform boots, which might well have been inspired by chopines. Below is an example from the most recent collection. I don’t think Jacobs expects to sell many of these boots. They seem to function as background details in promotions of more conventional handbags and dresses. Lore has it that chopines were worn by ladies of leisure. They were practical shoes in that they protected one’s feet during walks along dirt roads in the days when thoroughfares were decorated with mud, donkey manure and whatever garbage people had tossed out their windows. The shoes were impractical, however, in that wearers were likely to teeter and fall. (See Marc Jacobs, above.) Ladies in chopines traditionally were escorted by servants to protect against this eventuality. 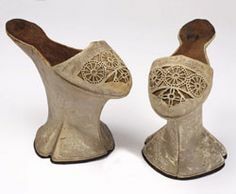 The wearing of chopines has been compared to the old Chinese practice of binding women’s feet to keep them small or, ideally, tiny. In both cases, the result was to make women unable to maneuver; only wealthy men could afford wives who could not contribute to the family enterprise. 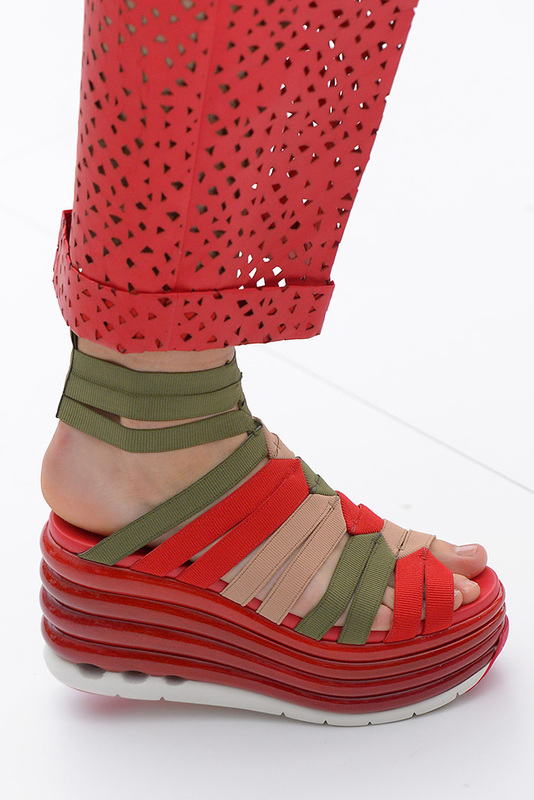 Here are some of this spring’s platform sandals. None of these shoes is all that unusual. 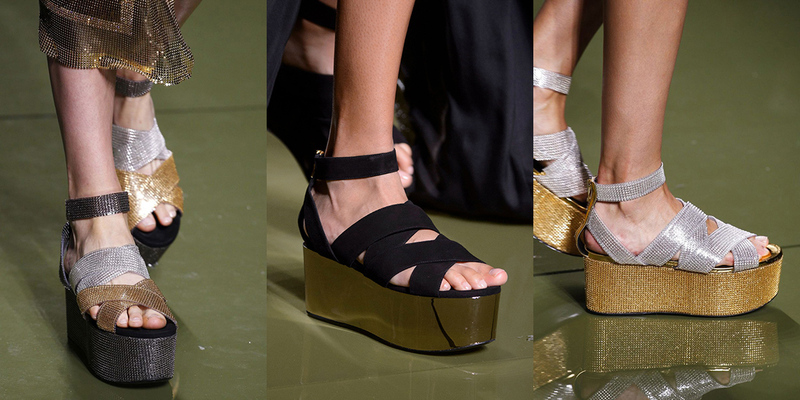 Platforms, especially platform sandals, have become wardrobe staples. It makes sense for fashion houses to release new versions every year. William Shakespeare was aware of the styles of his day. He managed to work a chopine joke into “Hamlet,” perhaps to leaven the heavy mood in much of the rest of the play. “What, my young lady and mistress! By ‘r Lady, your ladyship is nearer to heaven than when I saw you last, by the altitude of a chopine. The fun here is that the actor is a man who plays female parts; there were no women thespians at the Globe Theatre, or any other theater, in the bard’s day. Shakespeare teases the young man, noting that he is growing taller and suggesting that his vocal range may be trending lower, as adolescent boys’ voices tend to do. The implication is that the actor is aging out of female roles. “Well hello, my young lady friend. You’ve grown as much as the height of a pair of platform shoes at least!